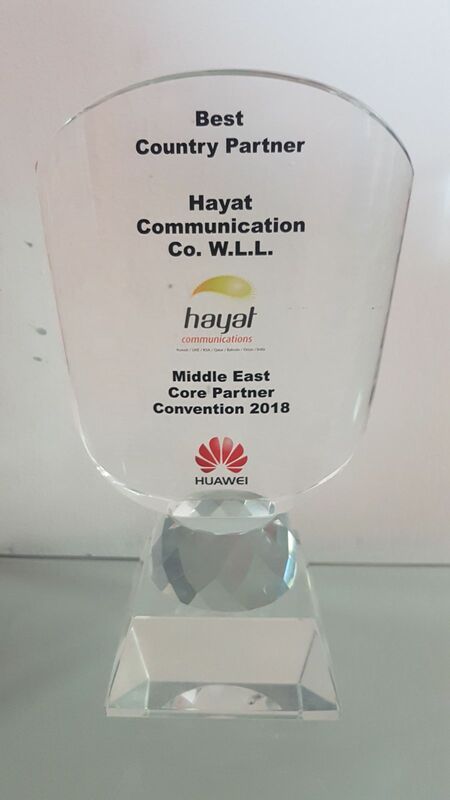 Hayat Communications has received the award of Best Country Partner – 2018 from Huawei, Bahrain at the Middle East Core Partners Convention. Leading global ICT solutions provider Huawei hosted its annual Middle East Partner Summit in Dubai on 10th May, 2018. Taking place under the theme ‘Leading New ICT, the Road to Win-win Ecosystem’, the summit hosted participants from 12 countries across the Middle East who gathered to form a collaborative platform in order to explore the current requirements for a successful digital transformation and ushering in the Artificial Intelligence era, exchange ideas, share success stories and best practices, targeted at empowering Huawei’s channel partners in order to increase their ability to cater to the region’s increasingly demanding technology innovation needs, and to establish an open and collaborative ecosystem.